The World Affairs Council of Philadelphia is a private, nonprofit, nonpartisan educational organization dedicated to informing and engaging people of all ages on matters of national and international significance. The Council provides its members and the greater Philadelphia community with access to influential figures in the global arena as well as opportunities to visit fascinating destinations through its unique travel program. With the support of individual and corporate members, the Council's global education program enhances the education of area students who are the citizens, workforce, and leaders of the future. Carrying its mission beyond Philadelphia, the Council produces the national public television series, The Whole Truth with David Eisenhower. 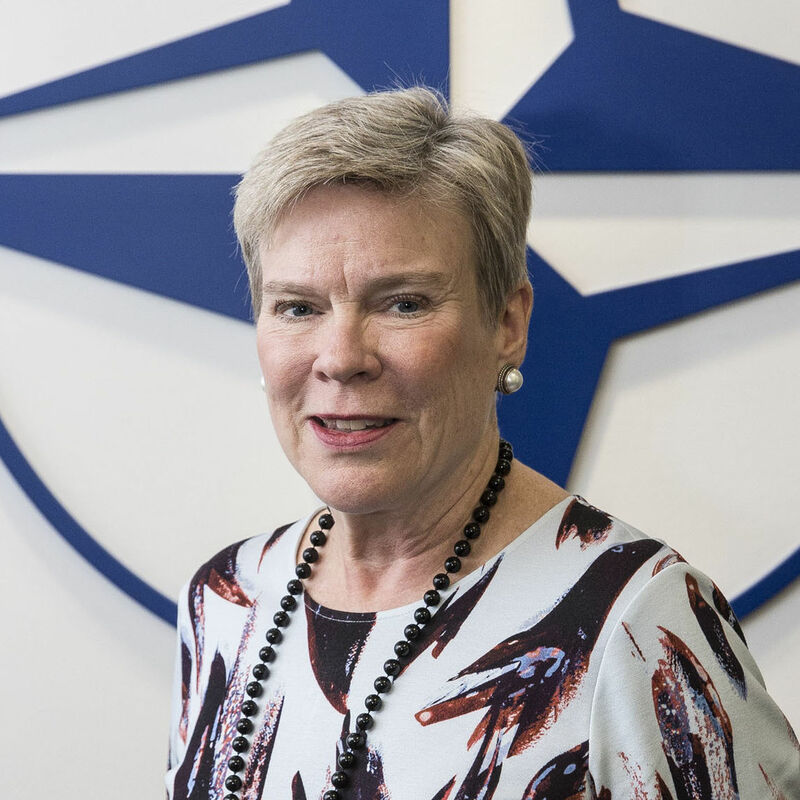 The International Statesman Award is being presented to NATO Deputy Secretary General Rose Gottemoeller, who is accepting the award on behalf of NATO Secretary General Jens Stoltenberg. Whether you're a student, a business professional, or an individual with a keen interest in the news and the world around you, you'll discover the World Affairs Council of Philadelphia to be one of the best ways to fulfill those interests. Meet world leaders and experts. The Council is one of the top public policy forums in the nation and offers a diverse series of more than 30 substantive speaker events on a variety of topics each year. The Council's nationally acclaimed world affairs youth education and development program has become a staple of the curriculum of major school districts in southern Pennsylvania, southern New Jersey, and northern Delaware. When you travel with the Council, you won't just experience the vacation of a lifetime, you'll also meet political leaders and local experts who give behind-the-scenes views and briefings that make our trips unique. Half hour episodes of the Council's public television series, which tackles some of the weightiest public affairs issues of our time, focus on global and long-term issues. Encounter ancient ruins, sacred mosques, endless desert and storied mountains as you travel to the imperial cities of Rabat, Fez, and Marrakech. Erfoud, Ouarzazate, and Casablanca are also included on the itinerary. Circumnavigate the seductive island of Sicily aboard the elegant, three-masted Sea Cloud II. Set out from Catania and sail into legendary harbors to discover ancient temples and theaters, and glittering mosaics. On this 7-day exploration of Reykjavík and surrounding areas, you’ll examine themes of society, sustainability, government, and agriculture as you gain a greater understanding of the inextricable interconnection between Iceland’s natural resources and its cultural identity. In addition to the spectacular geologic scenery, you’ll also have a chance to witness the breathtaking Northern Lights. Our carefully designed program traces the history of this movement which began in 1955. We stop at the major sites of the movement - from Selma to the Little Rock High School - and meet with many of the figures who were involved. Join us as we explore four countries of the Arab Gulf where the last few years have seen enormous growth and change. Our rich program travels through Saudi Arabia, Bahrain, Kuwait and Qatar meeting with diplomats and local leaders as we seek to understand the geo-political narrative of the region. $8,995 per person. The 2019 Summer Global Leadership Seminar is a week-long summer program for high school students titled "The Rise of Political Populism". Students will explore this complex and fascinating topic and will hear from experts, policymakers and academic on the global rise of populism. Students will engage in debates, activities and a culminating trip to Washington D.C. throughout the week. Is American Criminal Justice Just? Political commentator Tara Setmayer, law professor Paul Butler, and lawyer Rick Jones explore how race and ethnicity have come to factor in Americans’ view of the criminal justice system and how that might change.